A long time ago in a galaxy far, far away – actually, 1986 at Disneyland – Star Tours first debuted, taking theme park guests on a harrowing intergalactic ride to the Death Star and back. 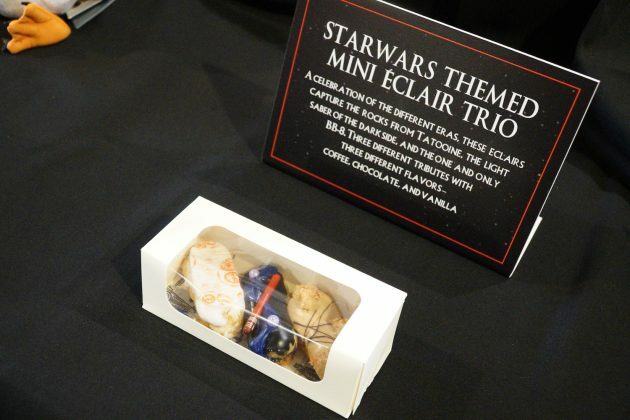 A lot has changed in the “Star Wars” universe since then and the latest update arrived first to Walt Disney World this morning as passengers aboard Star Tours at Disney’s Hollywood Studios hopped aboard a trip to a new planet – or two. Straight out of the upcoming, highly-anticipated film “The Last Jedi” comes the planet of Crait. 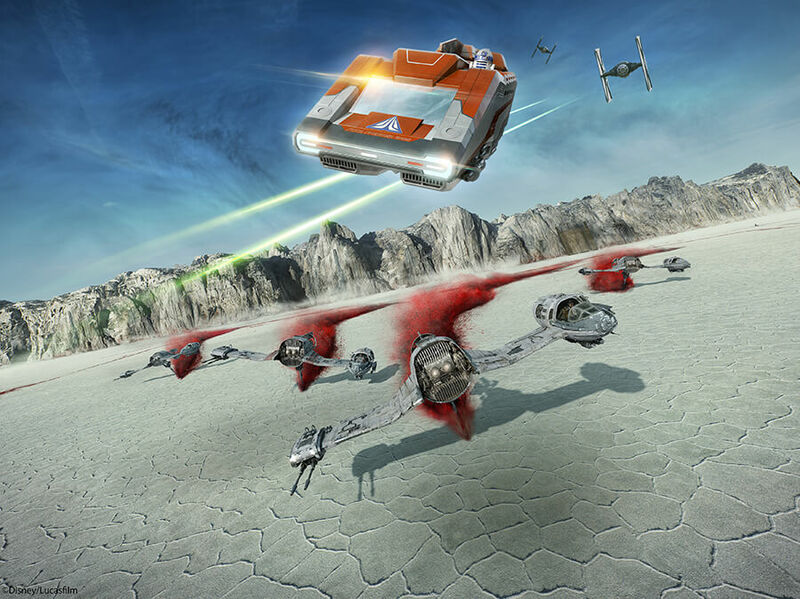 Its recognizable red sands have been seen in the film’s trailers and now guests on Disney’s Star Tours ride can see what it’s like to have those very sands blasted directly at them in 3D. It’s a fantastic update to the classic attraction, firmly cementing it in the middle of the newest “Star Wars” trilogy. For the foreseeable future, all Star Tours rides will start with a journey to Jakku with Finn, which first debuted when “The Force Awakens” hit theaters. But even before that, keen-eyed fans will notice some differences in the ride’s opening shot. Beyond Jakku, riders on Star Tours can now see new holograms too, before venturing off to Crait. One is Maz Kanata, amidst a blaster battle. She appears as an odd bubble-shaped hologram. “The shadow of the Dark Side is spreading across the galaxy,” she warns, firing her blaster into the cabin and all around her. She’s much more of a fighter than we last saw her in “The Force Awakens” – no doubt foreshadowing to the upcoming film. She enlists all passengers’ help to join the Resistance and sends everyone on their way to the “coordinates” she has sent. 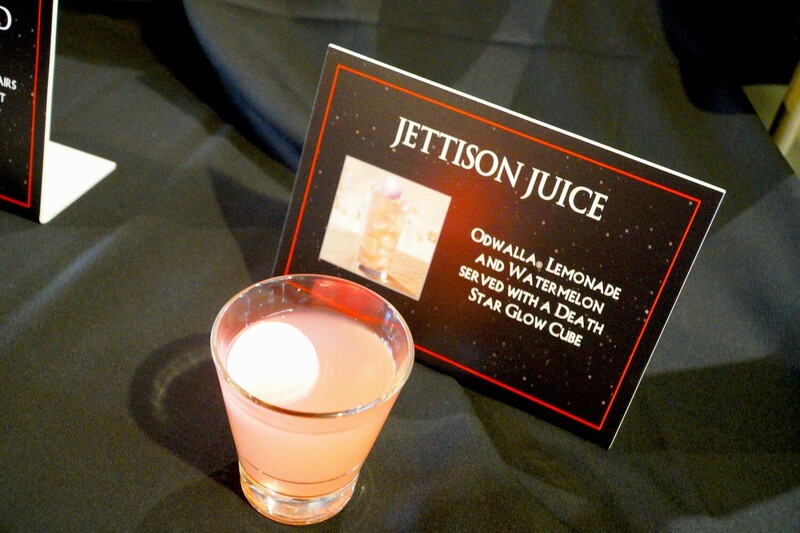 Alternately – and far more hilariously – Poe Dameron may appear as a hologram. He initially has a quick message for C-3PO in the cabin, but as Threepio tends to be a little long-winded, Dameron quickly cuts him off with a funny quip and addresses passengers directly. “There’s someone aboard your ship that’s vital to our mission.” “The spy… is this mission sanctioned?” adds Threepio. “Let’s say it is,” retorts Dameron, sending over “coordinates” and leaving with “Good luck and- you know the rest.” The whole bit gets big laughs every time. Crait itself is both an exciting forward-looking addition to the “Star Wars” universe, bringing guests to a new planet, as well as a bit of a tribute to the ride’s past, sending riders careening through crystal caverns and even having giant windshield wipers scrape off the planet’s red sands. Dameron guides passengers through a sudden battle with giant walkers before jumping to hyperspace toward one last surprise. It seems like the ride should end, but instead a new, yet strangely familiar planet emerges as Threepio says, “Oh, we’ll be safe here.” Suddenly, as the Starspeeder approaches a space port it becomes clear that it is landing in the middle of Star Wars: Galaxy’s Edge, the expansion of the park opening in 2019. Indeed there is much more “Star Wars” to come to the parks – but we won’t have to wait until Galaxy’s Edge opens in two years. 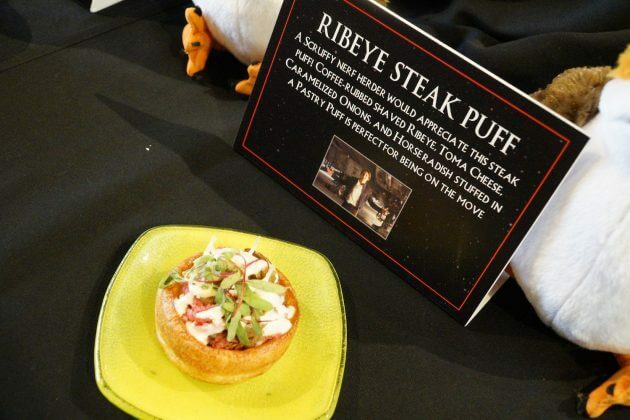 First, on December 16, Disney’s Hollywood Studios will once again be taken over by the separately ticketed Galactic Nights event, which will be even bigger this time around. Roddy promised we will see a lot from “The Last Jedi” at the event and many surprises. There will be multiple panel discussions throughout the evening with Imagineers Scott Trowbridge and Chris Beatty, among others, showing off the latest updates from Galaxy’s Edge. 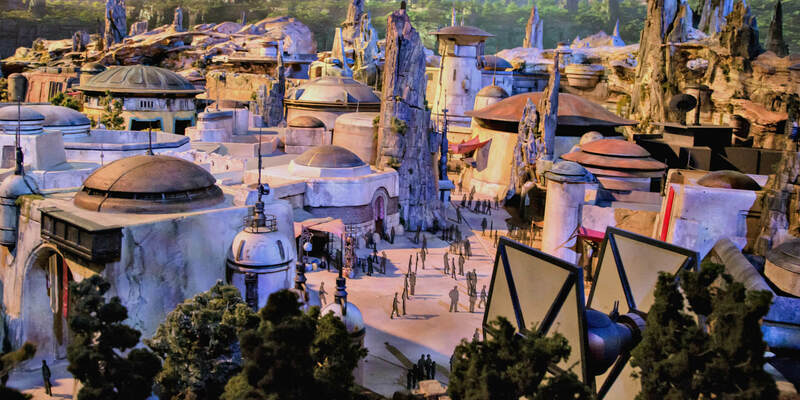 In addition, there will be celebrity appearances, plenty of characters (including a few rare ones), and new immersive photo opportunities – a particular favorite of which Roddy pointed out will be Luke Skywalker’s hut. 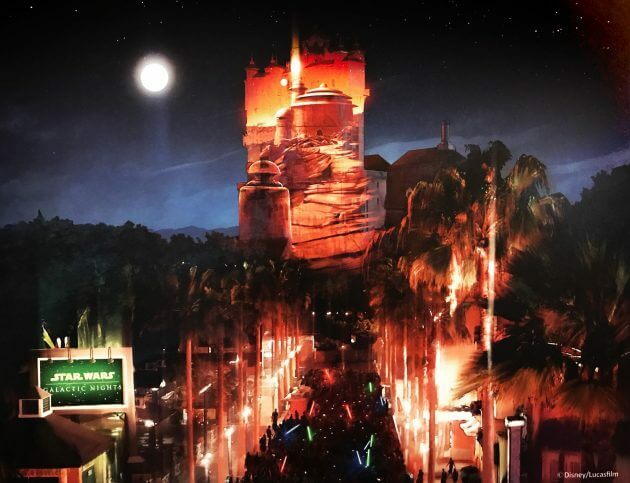 The Tower of Terror will also be transformed for the evening with a new projection show called “Galactic Destinations” which will encompass familiar and new locations from the entire “Star Wars” universe, all the way back from the beginning through “The Last Jedi” – and even Batuu. There will be plenty of themed food and drinks. 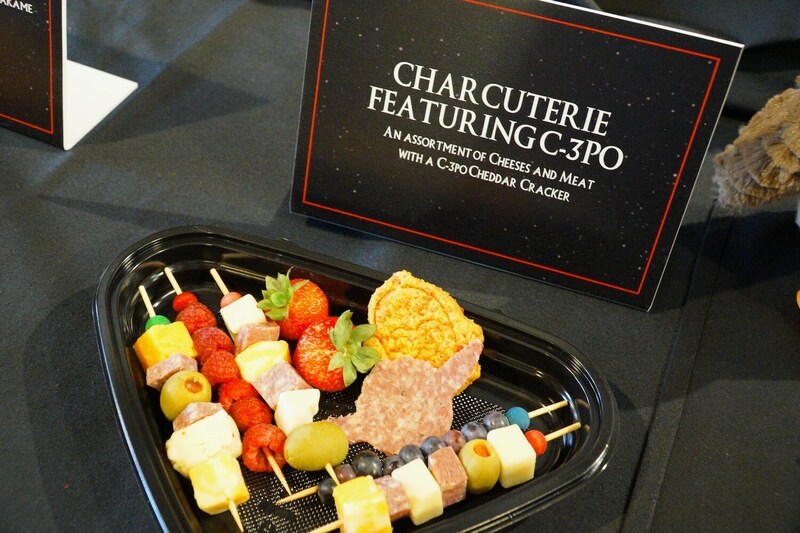 Ever had Yoda-shaped salami with C-3PO crackers? You will. 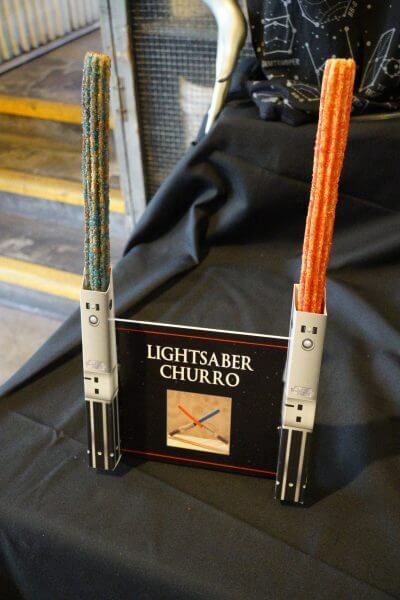 And yes, there will be lightsaber churros too. 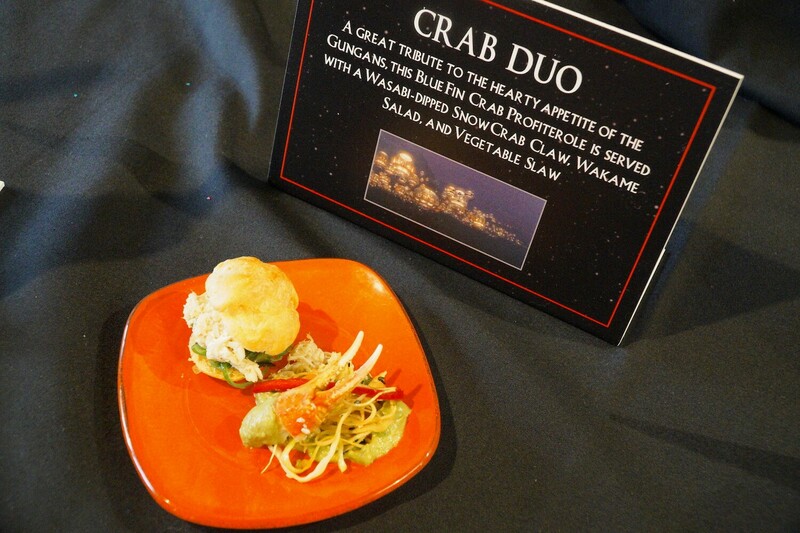 Tickets for Galactic Nights are available on Disney’s web site. The update Star Tours is now open at Disney’s Hollywood Studios, ready to take you to Crait (and Batuu) today!